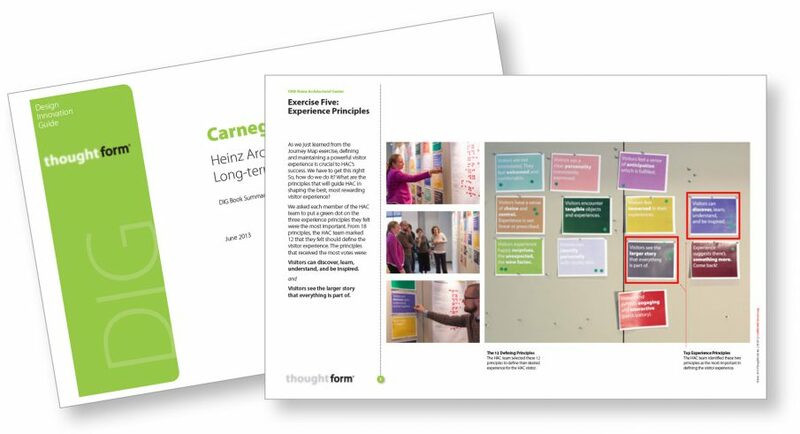 Carnegie Museum of Art: Heinz Architectural Center - ThoughtForm, Inc.
For more than 20 years, the Heinz Architectural Center (HAC) has been an exemplary source of drawings, models, and knowledge about architecture in our region. And yet, as we met with HAC to plan its anniversary, we discovered that the local community was not fully aware of the Center and all it had to offer. We wanted to turn this discovery into an opportunity: to help HAC evolve its brand, establish powerful new messaging, and essentially reintroduce itself to Pittsburgh. ThoughtForm began asking questions about HAC and its mission. 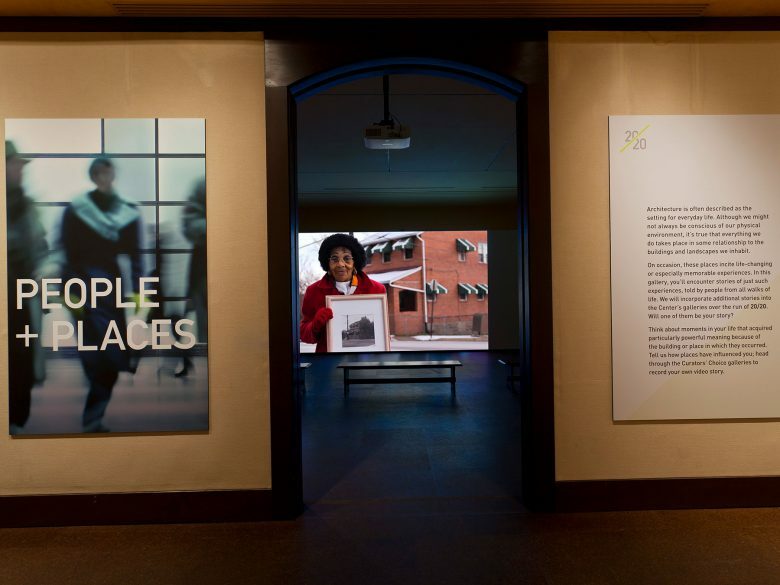 We wanted to understand its engagement with the community, and more broadly, the community’s engagement with architecture. We asked HAC’s curators and staff to describe these relationships in real terms and give us examples. 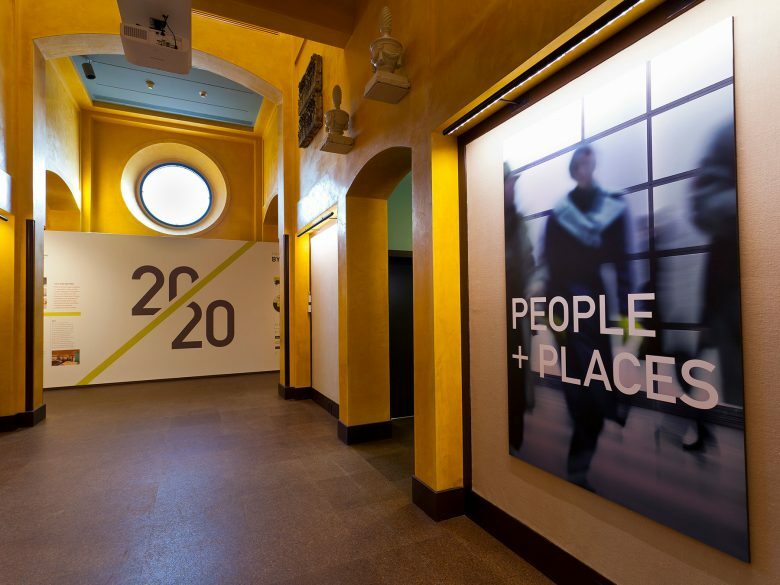 What emerged was not only a strong point of view for its 20th anniversary, but the foundation for a newly expressed brand that would carry HAC into the future. Hosted a kick-off Vision Catching session to plan an anniversary event and lay the groundwork for future change. 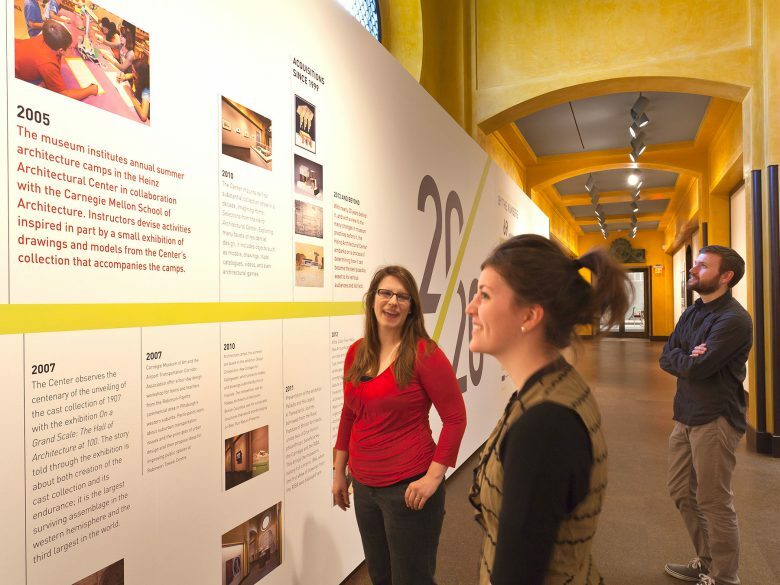 Helped design a 20th anniversary event that put HAC’s history, and future, in the spotlight. 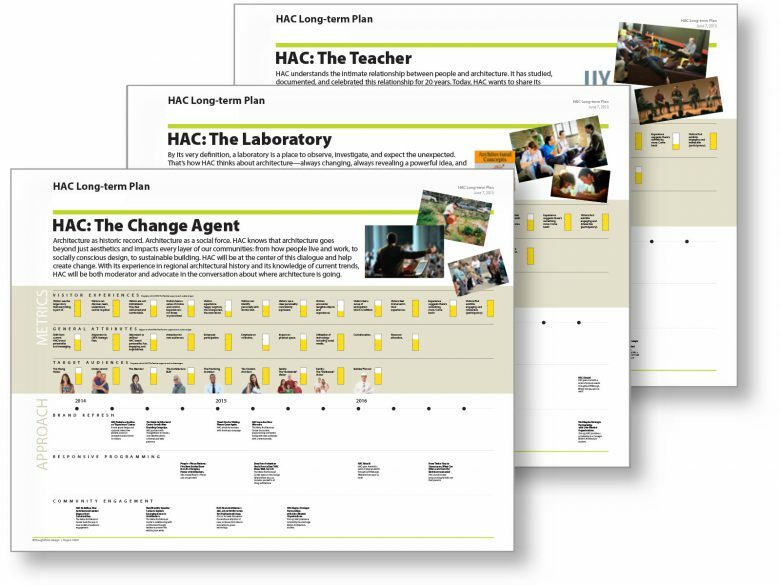 On the heels of the anniversary, repackaged the HAC brand and helped them define their future.